Stuckey in Second: New Year, Facebook Hop, New Blog, and Milestone Achievement!?!?!?! Oh my! New Year, Facebook Hop, New Blog, and Milestone Achievement!?!?!?! Oh my! Well, it's a brand new year and I have so much to be excited about! First of all, the most exciting news...I have officially hit a TPT milestone! 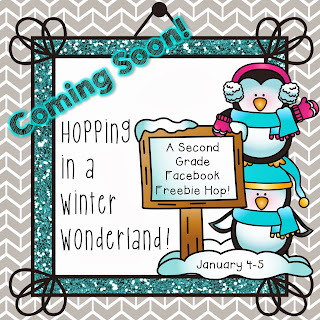 Make sure you are watching for my freebie that will be posted the week of January 5th. (If you follow TPT on Facebook, they will post the link that week!) EEEEEEEEEEKKKKK!!!!!!!!!!!!!!!!!!! This coming weekend I will be part of another Facebook Hop. A little secret, this group of 2nd grade teachers doing this hop, has been one of my very FAVORITE groups. The same group did one way back in July (I believe...) and it was a-w-e-s-o-m-e. You'll love it! The hop will start at Tori's Teacher Tips and serve as the "home base". You will just keep going back to her page to go to the next Facebook page in the hop. Hopefully, this way, nobody will get lost and if someone's isn't working, you can get all of the other goodies! Should be an awesome hop with a lot of great freebies! Starting Saturday, January 4th! Also, some really big news. 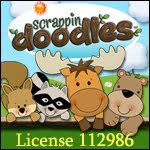 I'm officially going to be part of a BRAND NEW educational blog. You will want to head over there now and start following it. 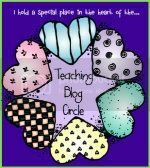 This isn't just any educational blog, this blog is going to be a collaboration of approximately 40 teachers, with an educational posting EVERY SINGLE DAY in 2014! That's why you will want to make sure you are following it now. Hilary, over at Rockin' Teacher Materials is heading this up and I'm so excited! It's going to be awesome!!! Here is the link to what you want to follow, click on the picture below. 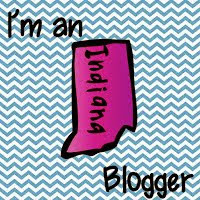 The blog kicks off on January 1st, but you can go ahead and take a look at all of the amazing teachers that are part of the blog. You will be excited! Forgot one important thing! 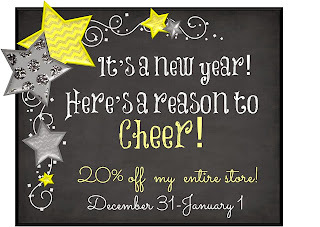 My TPT Store is 20% off for the rest of today! Wow, well I think that's enough excitement for today!